All wheels are based on Availability, please be aware not every wheel is available from the warehouse. Let us know which ones you like and we will find that wheel or something similar. 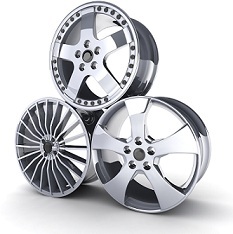 At Kzoo Tire Co - Portage, MI, we stock a wide selection of wheels for customers in Portage, MI, Kalamazoo, MI, Vicksburg, MI, and surrounding areas.